Sometimes when you fly, a conveyor belt gets hungry and decides to eat your suitcase. When it's damaged beyond repair, passengers are given a replacement bag. But in Sydney, Australia, one woman's replacement bag came with an extra item — a half pound of plastic explosive. 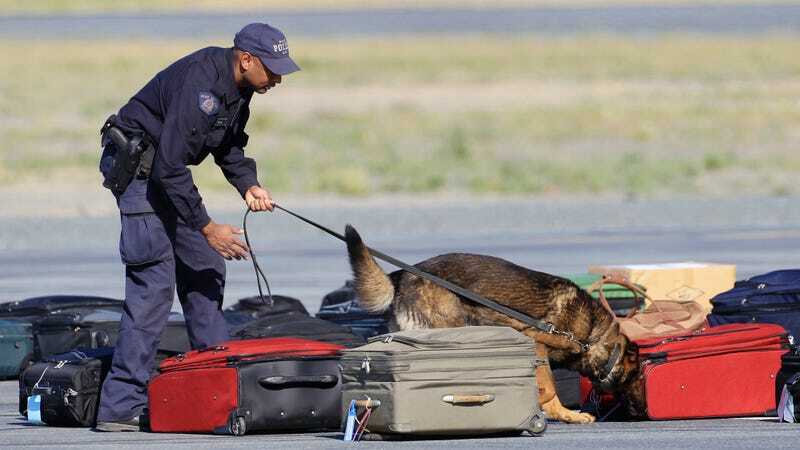 "The AFP takes this error seriously and the canine instructor who inadvertently left this device behind has been identified and will be the subject of a formal Professional Standards Investigation." The Newcastle Herald reported the training bag was then given to a woman whose bag had been damaged. The recipient of the explosive took the bag to her local police station at Cessnock, which then evacuated the facility as a precaution. Commander Buchhorn said they device was not live, and offered thanks to the woman and the Cessnock police for their assistance in correcting the error.